Born in Chicago, Chris was playing drums at age three and began performing his first professional gigs at eleven. At nineteen, Parker began recording and touring with blues great, Paul Butterfield and then broke into the New York studio scene in 1970,doing records, movie scores and filling the drum chair at Saturday Night Live. Toph, as friends know him, recorded platinum, gold and Grammy winning albums and CDs with many artists, including the original Brecker Brothers, Bob Dylan, Cher, Donald Fagen, Ashford and Simpson, Natalie Cole, Aretha Franklin, Freddie Hubbard, James Brown, Salt n' Pepa, Stuff, Miles Davis, Patti LaBelle, Michael Bolton, and Suzy Boggus. 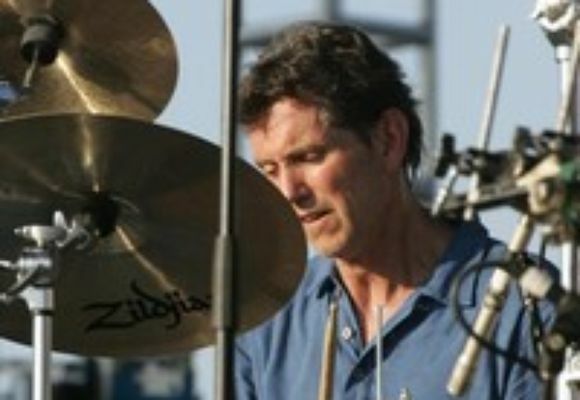 He has toured with many artists; among them Boz Scaggs, Joe Cocker, Joe Cool, Bob Dylan, Bette Midler, Paul Simon,AkikoYano and Ralph MacDonald. Currently leading his own band, Toph-e & the Pussycats among other musical endeavors,including Chris Parker Trio with Kyoko Oyobe,composing and arranging for Funkasaurus Rex and the Sherman Chamber Ensemble,performing with Gretchen Parlato,Joyce Camilo and Nanny Assis.New York Philharmonic,Marvin Hamlisch and Idina Menzel.